My wife Mitsie and I are pleased to join Michigan Governor and Mrs. Rick Snyder and Maura Corrigan, director of the state’s Department of Human Services, as part of the 2014 host committee for Fostering Futures. It’s a Michigan Education Trust charitable benefit that provides support for students in foster care. The event is from 5-9 p.m., Sept. 25, at the Royal Park Hotel in Rochester, Michigan. Read more about it on Metro Parent’s website. Park West Foundation has been a proud sponsor of the Michigan Education Trust Fostering Futures Benefit since the scholarship was initiated in 2012. As 2014 host committee members, we invite others to join Park West Foundation’s example and invest in the children of Michigan by supporting this special benefit and the ongoing Michigan Education Trust Fostering Futures campaign. If you can’t attend the event, consider making a donation to the program. In 2006, Mitsie and I prioritized our commitment to helping foster children in Michigan by focusing on some of the deeper issues faced by youth once they age out of the foster care system. We created Park West Foundation with the mission to support organizations committed to strengthening positive values and leadership, and to offer creative and lasting solutions for youth. What started as our desire to provide to foster youth the little extras and attention that most children receive at home – grew into a calling. We wanted to find solutions to a series of gaps in services for these vulnerable children, in and out of care, where basic needs simply often went unmet. Park West Foundation’s director, Saba Gebrai, has been our feet on the street for seven years. She’s been helping us make connections with agencies and organizations and finding youth the resources that are available to them – resources such as the Michigan Education Trust Fostering Futures program. 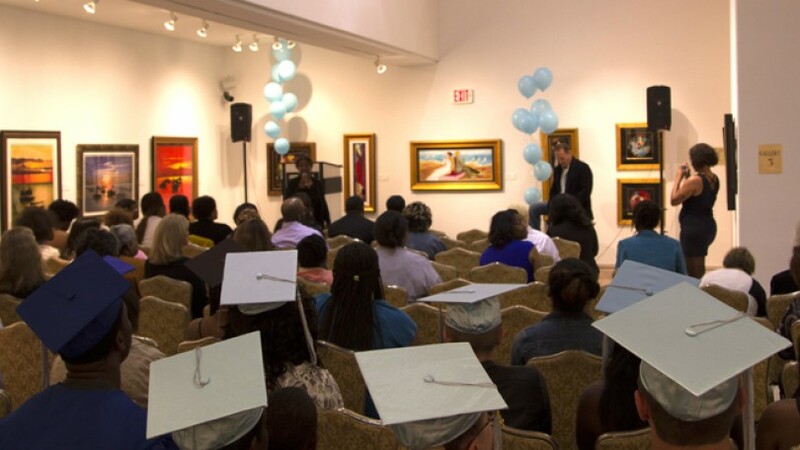 In addition to connecting youth with resources, other initiatives we’ve implemented through the foundation include hosting high school graduation ceremonies and the foundation’s peer-to-peer mentoring program called PWF Blue Babies, which facilitates opportunities for former and current foster youth to support one another.